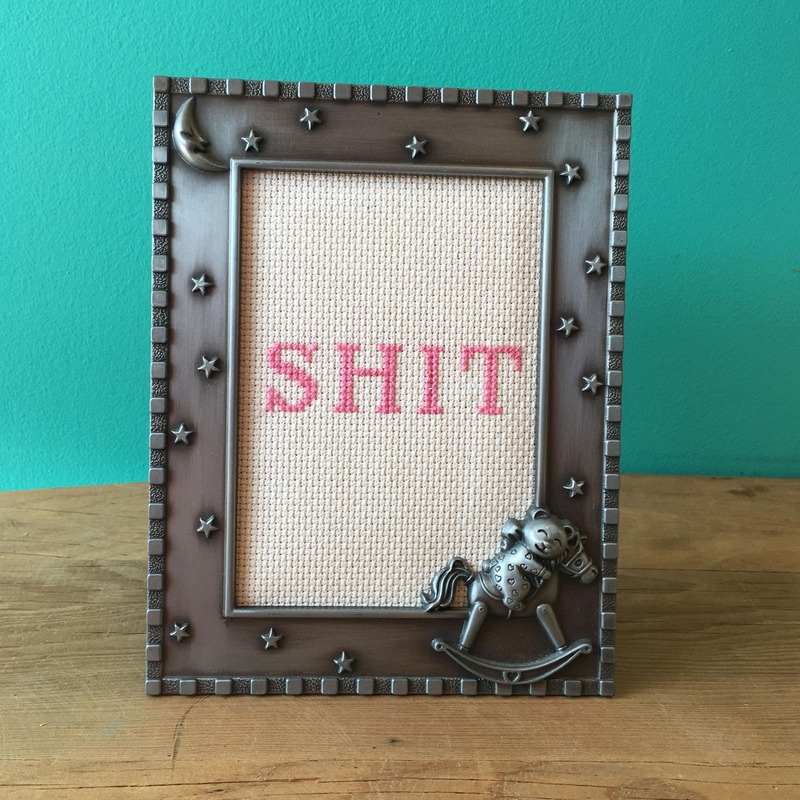 This unique cross stitch wall or desk art by Toronto maker Crassstitches is the perfect gift for the potty mouth in your life. 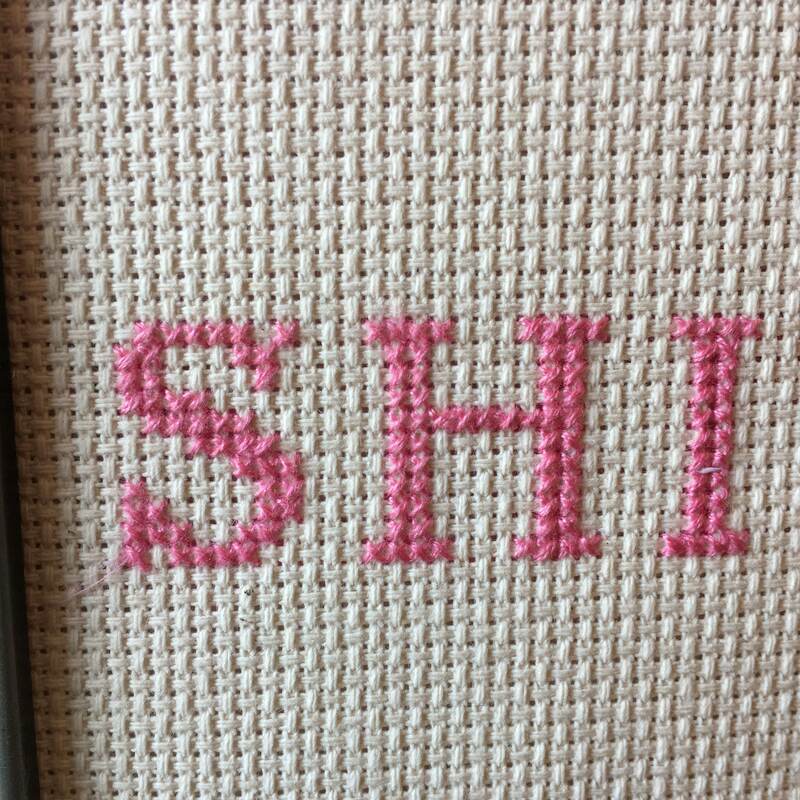 Hand crafted with care by a member of our shop, this is a light pink typeface on a white aida cloth background in a frame that can be hung on the wall or stood on a desk. 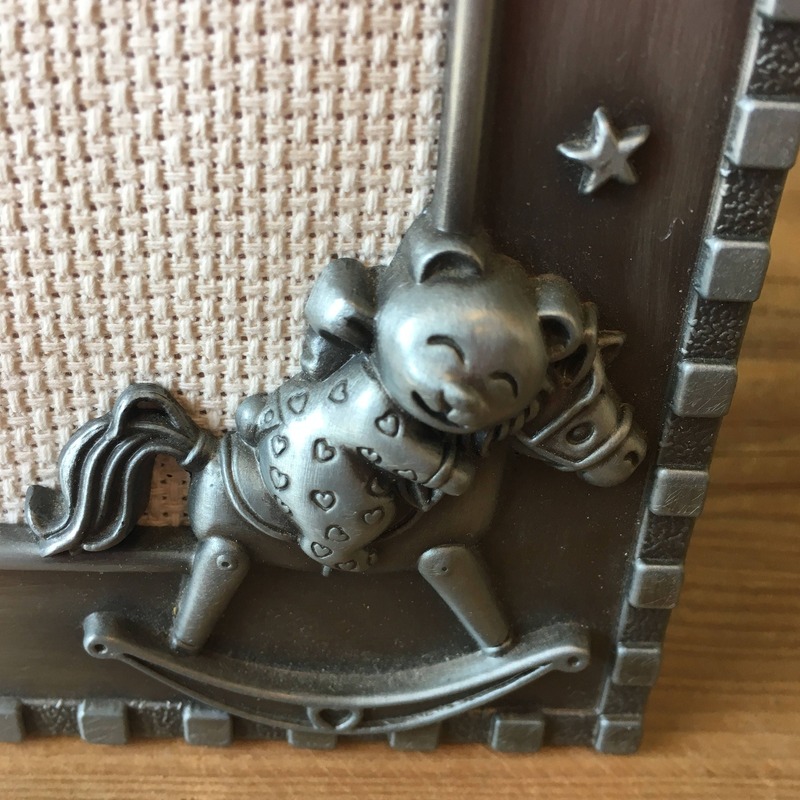 This frame has stars, a moon and an adorable bear engraved on it as well! Can be shipped to you or if you're in the Greater Toronto Area you can pay online and pick up in store at your convenience! 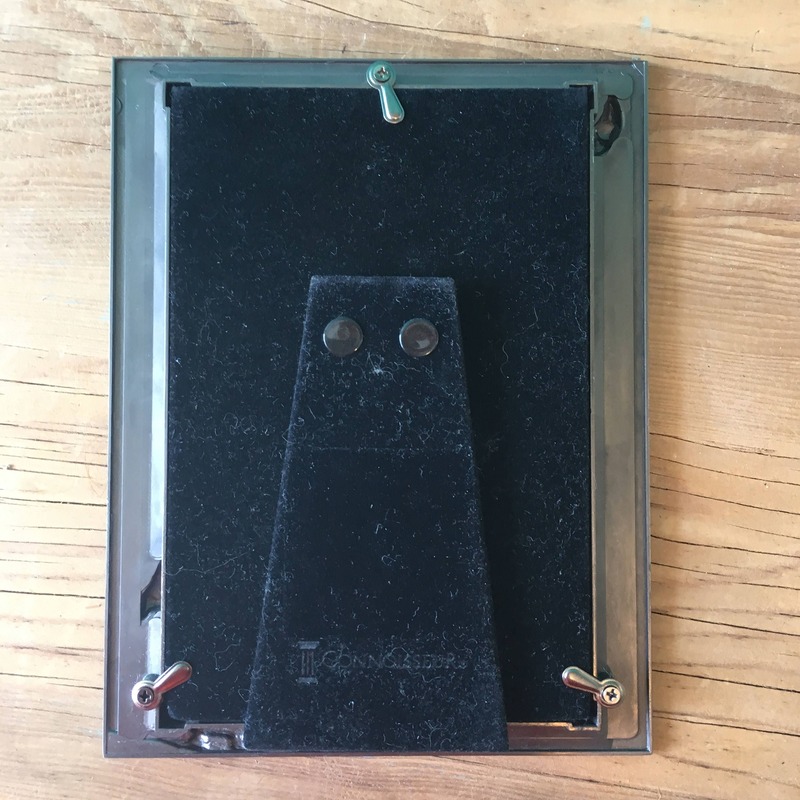 Just enter coupon code LocalPickup at checkout to remove the shipping charge, and in the Notes to Seller field let us know when to expect you, and we'll get it ready for you to pick up during store hours.